Oil Regeneration Rigs (CMM-R) - GlobeCore. Oil Purification Systems. 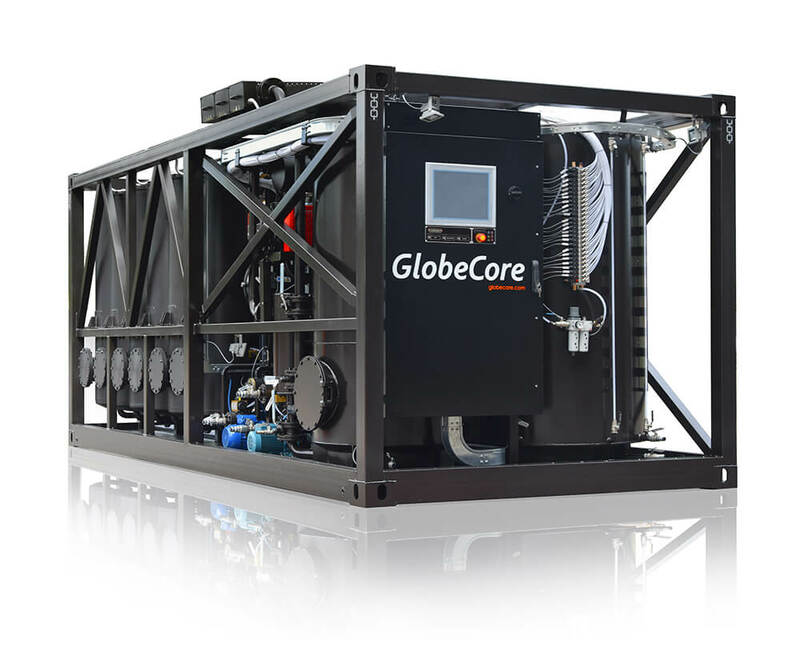 The GlobeCore regeneration process restores used oils to new like condition. This process makes it possible to fill transformers with oil that would previously have required disposal. The oil in the transformer can be used without replacement for the entire service life of the transformer. 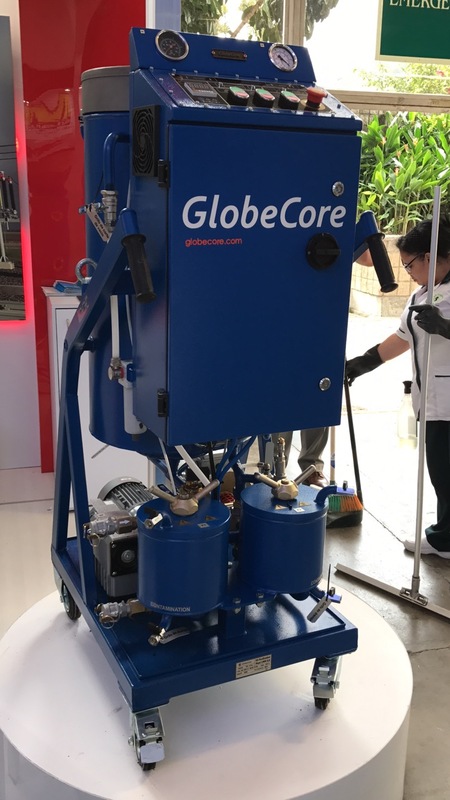 The GlobeCore CMM-R systems are designed to extend transformer service life by restoring the dielectric strength and chemical composition of dielectric insulating oil. In the process of oil regeneration, oil degradation products and acidic compounds are removed, the oil becomes clear, oxidation resistance is improved, Earth is free from oil and contaminants. while gas solubility is reduced. Table below shows typical oil parameters before and after treatment. 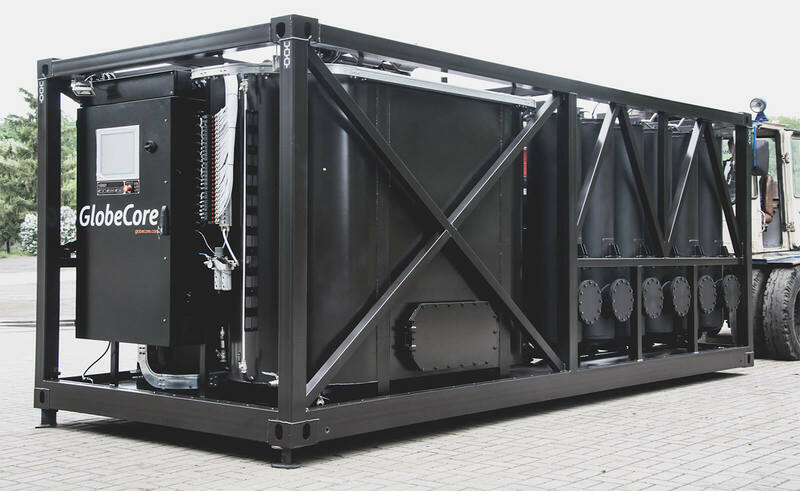 GlobeCore’s Oil Regeneration Plants are design to carry out regeneration on energized and de-energized transformers as well as on tank to tank basis. 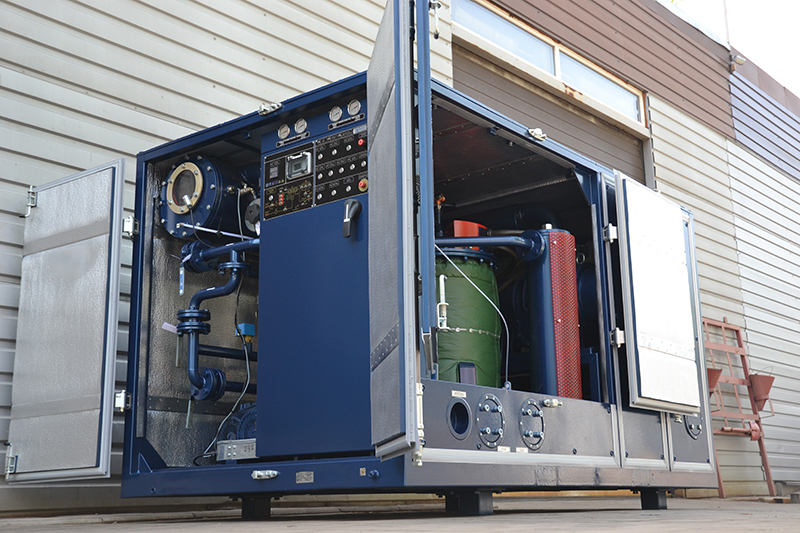 This system is ideal for waste oil disposal. Oil shall be taken and tested at the beginning of oil regeneration inside a transformer. The results will show duration (number of passes) required to regenerate the oil. Dissolved gas results will indicate whether transformer may be treated in energized or de-energized state. Usually Regeneration Plant is used on 50 % to 80% of its production capacity while treating energized transformers to ensure laminar movement inside of transformer oil tank. With average oil characteristics it takes 8 to 10 passes to regenerate oil to “like new” conditions. While treating de-energized transformers the Plant can be used on 100% of its production capacity. Desludging of transformers requires oil temperature to be above aniline point usually around 80 C. Constant circulation of oil shall be maintained during desludging and oil must be new or regenerated. This process will be more efficient on energized transformer as winding vibration and generated heat will also help to remove sludge. 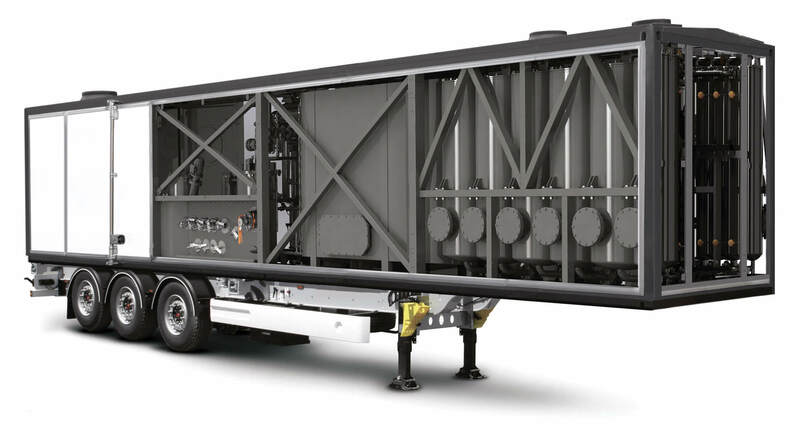 With average oil parameters it takes 10-20 passes to desludge energized transformer and up to 50 passes on de-energized transformer. 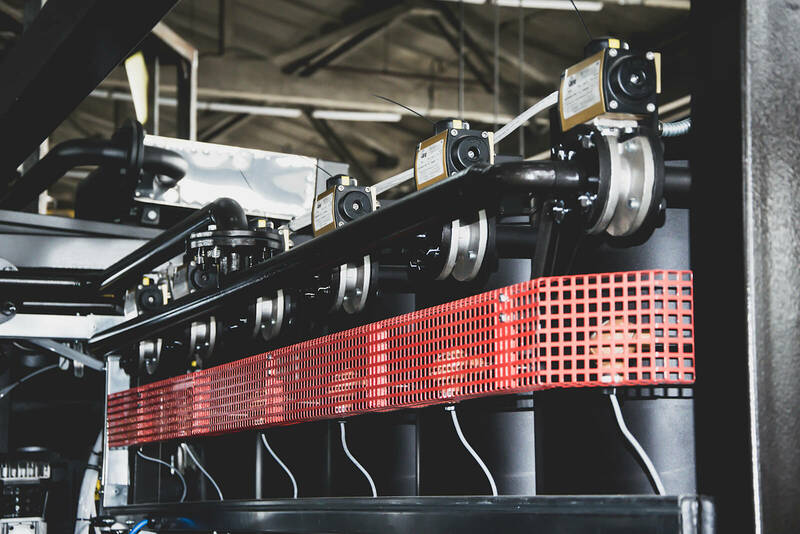 After a time period when oil is left in a storage tank to settle out suspended solids and free water regeneration is carried out on 20-25% of the Plant’s production capacity to regenerate the oil to “like new” conditions in 1 pass.